This Clutch Plate is universal and is designed to flex vertically and compress horizontally to reduce machine wobble and operator fatigue. Malish 17" Aluminum Back Diamond Disc / Pad Driver features a special face material which provides excellent holding power for diamond discs and a variety of floor pads. 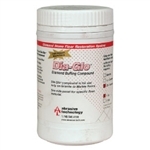 A 1/4" thick, flattened, needle-punched floor pad for a wide range of applications. 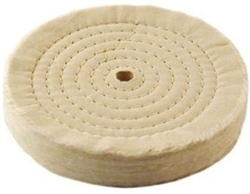 Polishing Wheel 6" x 1"
1/4" thick, flattened, needle-punched floor pad for a wide range of applications. Pads cling easily to the bottom of rotory machines. Pads are made of low carbon steel wool.